Why polar bears are starving? The researchers found that these animals have higher metabolic rates than previously thought, and climate change is adversely affecting their environment for hunting enough prey. They have monitored the behaviour, hunting success and metabolic rates of adult female polar bears without cubs as they hunted for prey on the sea ice of the Beaufort Sea of the Arctic Ocean, in the spring. The polar bear population is declining fast as they are unable to catch enough prey to meet their energy needs, says a study. The researchers found that these animals have higher metabolic rates than previously thought, and climate change is adversely affecting their environment for hunting enough prey. The study, published in the journal Science, reveals the physiological mechanisms behind observed declines in polar bear populations, said first author Anthony Pagano from the University of California, Santa Cruz, US. “We’ve been documenting declines in polar bear survival rates, body condition and population numbers over the past decade,” he said. 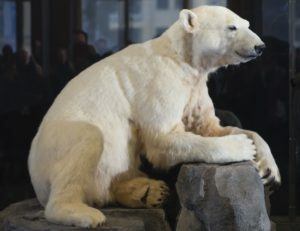 “This study identifies the mechanisms that are driving those declines by looking at the actual energy needs of polar bears and how often they’re able to catch seals,” Pagano, who is also a wildlife biologist with the US Geological Survey (USGS), said. The researchers monitored the behaviour, hunting success and metabolic rates of adult female polar bears without cubs as they hunted for prey on the sea ice of the Beaufort Sea of the Arctic Ocean, in the spring. High-tech collars on the bears recorded video, locations and activity levels over a period of eight to 11 days, while metabolic tracers enabled the team to determine how much energy the bears expended. The field metabolic rates they measured averaged more than 50% higher than previous studies had predicted. Five of the nine bears in the study lost body mass, meaning they weren’t catching enough fat-rich marine mammal prey to meet their energy demands. “This was at the start of the period from April through July when polar bears catch most of their prey and put on most of the body fat they need to sustain them throughout the year,” Pagano said. But climate change is having dramatic effects on the Arctic sea ice, forcing polar bears to move greater distances and making it harder for them to catch prey, the study said. In the Beaufort Sea, sea ice starts to retreat away from the continental shelf in July, and most of the bears move north on the ice as it retreats. As the Arctic warms and more sea ice melts, the bears are having to move much greater distances than previously. This causes them to expend more energy during the summer, when they are fasting until the ice returns to the continental shelf in the fall, the study said. In other areas, such as Hudson Bay, most bears move onto land when the sea ice retreats. There, Arctic warming means the sea ice is breaking up earlier in the summer and returning later in the autumn, forcing bears to spend more time on land. “Either way, it’s an issue of how much fat they can put on before the ice starts to break up, and then how much energy are they having to expend,” Pagano said. 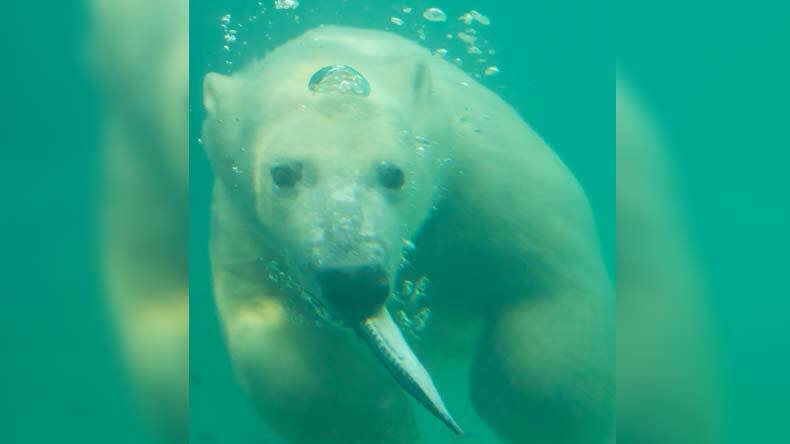 USGS researchers have been studying polar bears in the Beaufort Sea area since the 1980s. Their most recent population estimate indicates the polar bear population has declined by about 40% over the past decade.